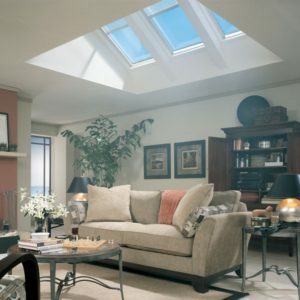 When homeowners are replacing their roof, the issue of skylights can sometimes be confusing. If a roofer is trying to give the customer the lowest possible estimate in hopes to secure the job, replacing skylights is often the first thing to be cut to help reduce costs. Sometimes, it’s the customer who wants to reuse an old skylight to save a few bucks. In our 27-years of experience, the best option is always to replace the skylights at the time you’re replacing your roof. Replacing your skylights when you replace your roofing system is the most convenient and affordable time to do so. Most roofers will charge up to double to come back and replace your skylights separate from replacing your roof. 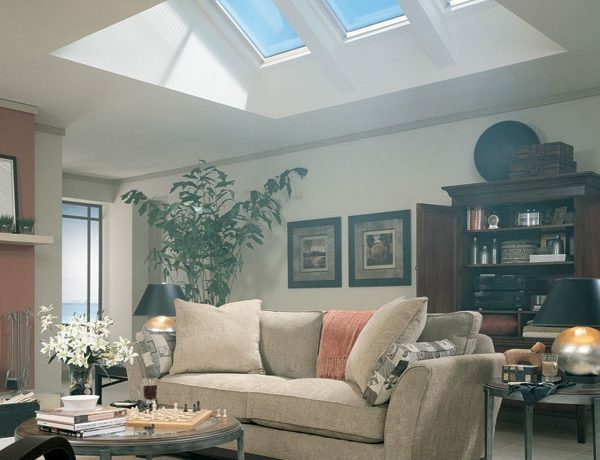 The cost of re-flashing your skylights is between $200 – $600 per skylight; the cost of replacing your skylights is anywhere from $800 to $1500, depending on the type of skylight. If we are looking at a roof with multiple skylights, the per-unit price differential is even smaller. If you really want to save money on your roofing purchase, think long-term. A slightly larger investment of a new roof and new skylights now will cost less than ripping up your new roof to replace old skylights in the future. What happens if you replace your entire roof and don’t replace the skylights and 6 months down the road, you have seal failure (fogged, inefficient glass)? You guessed it; you have to replace that entire section of shingles around the skylight! Say your skylight has performed perfectly so far. No matter how skilled your contractor may be, ruffling with that old skylight to properly install your new roof can cause problems. Skylights have a short warranty for a reason. Inexpensive plexiglass bubble skylights can crack easily. Even high-quality skylights will warp over time. Save yourself the headache and long-term costs by replacing them along with your roof. If you have any questions about your skylights or replacing your roof, feel free to contact us anytime!